The “Live Music Capitol of the World” has more than 100 venues sharing live performances on a near nightly basis. Every genre, every instrument, every voice can be found in Austin. One of those voices is Jackie Venson. Her childhood involved a variety of Motown, funk and old school soul. With her father and brother as professional musicians, music was constantly in the air. Her mother enrolled her in piano lessons at age eight and she played for 13 years before switching to the guitar. Although the Austin music scene wasn’t explored much in her younger years, it was the moment she picked up that guitar that she started to delve into the scene. “What really inspires me about the scene is that there's so much support for music and musicians whether it's the people who come out to shows or the countless non-profit organizations that take care of musicians,” Venson said. The support of music is highly recognized in the Austin community not just by musicians but by City Hall and the Austin Music and Entertainment Division. Together they choose a musician one day a week every week who stands out in the community. On May 21, that day belonged to Venson. In support of the EP, Venson has been touring with fellow Austin-native Gary Clark Jr. After sharing the stage with the Rolling Stone, Eric Clapton, B.B. King and more, his fusion of different musical genres is quite similar to what Venson does with her music. When he asked her to come out on tour with him, she couldn’t pass up the opportunity. Venson’s mentality of constantly looking forward has already given her some spectacular chances at life as a musician. 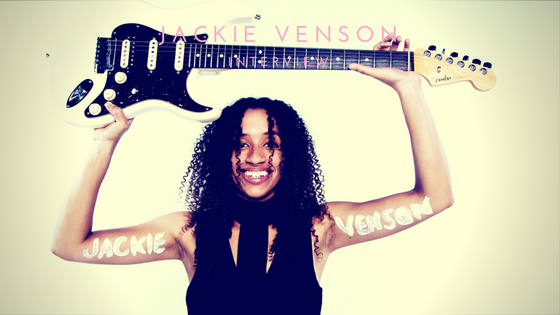 From days dedicated to her to touring with well-respected members of the music community, the release of Transcends should only bring more luck for Jackie Venson.